Shvi is commonly made of wood. In Armenia, it’s usually apricot tree wood, as well as ebony or bamboo. Shvi length reaches up to 12 inches (about 30 cm). 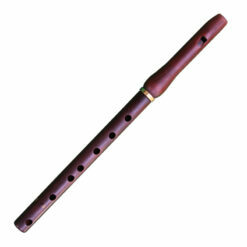 The “tav shvi” (variation of traditional shvi) is also made from apricot wood and is up to 18 inches (around 46 cm). Shvi produces very nice and lyrical sound. If you want to listen and enjoy the real sound of shvi, you should go to an Armenian folk music concert or visit a traditional Armenian village! We grouped our shvis by its timbre.